The Academy of Communication in Healthcare's Member Spotlight feature allows members of the community to know each other beyond the CVs, publications and presentations. Each month a diverse member of ACH will be chosen to write their responses to questions they select to reveal more about themselves as people. It is the Academy's hope that learning about an individual may spark connections that blossom via email, phone conversations or in-person meetings at conferences, courses and forums. We welcome your feedback on this enterprise and nominations for future Spotlight Members. Biography: Cynthia Senior an Assistant Professor in the Dental Hygiene Department at the University of Mississippi Medical Center School of Dentistry. Cynthia earned her Baccalaureate degree in dental hygiene at the University of Mississippi Medical Center (UMMC) in 2005, a Master of Education from William Carey University in 2013 and is currently working on her doctorate in health administration. 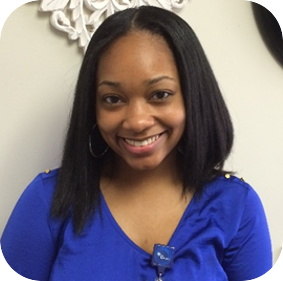 A native of the Mississippi Gulf Coast, she worked in private practice as a registered dental hygienist in Gulfport, MS before joining the department of dental hygiene as a full-time instructor in 2013. She has been an active member in the Mississippi Dental Hygienists’ Association and is currently serving as Constituent President. In 2015, she was appointed to serve as delegate for ADHA District VI representing Mississippi. Her involvement in her professional association includes course presenter at the American Dental Hygienists’ Association’s (ADHA) annual conference in 2017. She also serves as a clinical board examiner for Council of Interstate Testing Agencies (CITA) and for the Commission on Dental Competency Assessments (CDCA). Dental hygiene is more than just a job, it’s a career. Dental hygiene is a profession that allows health care providers to become integral parts of a patient’s overall health. Patients often visit their dental hygienist more regularly than they visit their primary care physician. Dental hygienists career advancements are only limited by the individual themselves. She made the decision to continue her education beyond her baccalaureate degree to complete a Master’s degree in education. She has taught in the dental hygiene program at the University of Mississippi Medical Center for approximately five years. She has been able to advance her responsibilities to include dental hygiene admissions chair as well as clinic director. Her passion for patient care, communication, and professionalism is demonstrated through her position as clinic director. The concept of gaining new knowledge that only a quality education can provide is invaluable. As she continues in her journey of education she’s motivated by the opportunities that will become available in her future. What was the worst mistake in your career? This is a tough one to answer, but if I were to change anything in my career, I would have continued my education sooner. It’s hard to return to being a student after years of being in the workforce. What book should every healthcare provider read? A book that was required as part of one of my doctoral classes was The Power of Habit by Charles Duhigg. This book is real eye opening as it helps readers to understand how and why our habits become ingrained within us. Summarize your personality in three words. Where are you the happiest? I am strongly motivated when I’m able to help individuals be able to attain their goals, whether it be in my personal or professional life. 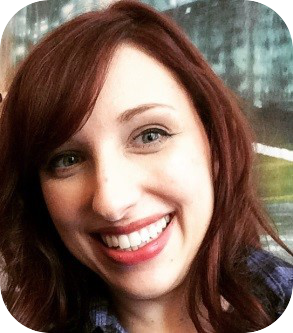 Biography: Lauren Dennelly is a clinical social worker and doctoral candidate. She is interested in qualitative and mixed methods healthcare research, including innovative ways to conceptualize and measure the patient experience, understanding the interpersonal conflict between healthcare providers and patients with behavioral health needs, and investigating the effectiveness of integrated behavioral health models. She is an adjunct professor at Marywood University-Pocono Campus and at Bryn Mawr College, teaching courses in trauma, integrated healthcare and social work, and social work foundations. Lauren has also worked as a behavioral health specialist in an integrated mental health and primary care setting as part of a multidisciplinary treatment team for the past 5 years. She has presented a poster at the American Public Health Association conference in Atlanta, Georgia in November 2017 on team based behavioral health interventions for suicidal primary care patients, as well as participated in Bryn Mawr’s Policy Practice in Field Initiative program about multidisciplinary care team models in primary care. She has done professional writing for The New Social Worker on the involuntary commitment process, and is hoping to submit future pieces related to integrated healthcare. From very early on I wanted to be a therapist. I recall mediating disputes between friends as a child in which they each went to me and commented on how neutral I was able to stay with each of them as I listened to their concerns. I suppose since then I had this idea that by listening to people I could help them feel better. Who is the person you would most like to thank and why? My husband for helping me grow as a person and my mother for pushing me to work hard. Biography: Theresa Dawson MS, CCC-SLP, CBIS has over twenty years of experience encompassing Speech/Language Pathology, Clinical Coordination and Medical Case Management with specialty in pediatric and adult neurogenic communication disorders. She is a Doctoral Candidate in Organizational Leadership and is a healthcare and nonprofit consultant. Her recent research has been in the area of examining the NFL concussion crisis, blockchain technology, virtual learning and training, mobile health technology and the creation of innovative leadership programs for professionals and special populations. Most recently she worked with a team to develop and pilot a global health exchange implementing mobile technology with visiting nursing students in Belize. 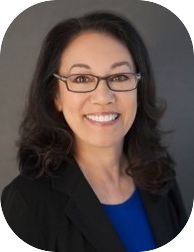 Theresa additionally serves as a Mentor for the American Speech Language and Hearing Association Leadership Mentoring Program and as a facilitator for the California Speech and Hearing Association Leadership Academy. She is on the national leadership team for the National Charity League, Inc. Her work with the Richstone Family Center in developing a teen leadership program for undeserved teens has been awarded grants and recognition by the National Service Learning Conference, and generationOn. Theresa’s current clinical practice in brain injury rehabilitation within the community and home setting allows for patient and family centered communication and engagement. As a Speech Language Pathologist, Theresa helps give a voice to those who struggle to communicate. She believes beyond the confines of the therapy setting it is equally important to find ways where others will listen to that voice. She would like to encourage health care leaders to create ways for patients who are finding their voice to be part of the conversation. When I was in third grade I read the biography of Helen Keller and I decided I wanted to be Annie Sullivan. I was fascinated by the teacher that worked to find the key that would release Helen from her isolation and allow her to communicate with those around her. I wanted to be just like her. Turning down opportunities to be President of a few associations when I was in my 20's. I didn’t have the confidence and was too worried about making mistakes. Consequently, I missed out on not only being able to develop leadership skills early in my career but in being able to serve and make a huge contribution to growing organizations. What was the best career move? My best career move was returning to school to obtain my doctorate degree. My studies with my diverse cohort have allowed me to view issues with an expanded lens. My research has allowed me to make many connections with not only healthcare professionals but also leaders in technology and business. My mentor and boss, Jan, who believed in me when I was transitioning from working as a clinician to case manager, life care planner, and regional manager. I was a lone Speech Pathologist in a field dominated by nurses and she took a chance on me. She pushed me to go out of my comfort zone, to constantly question the status quo and to do research to base decisions on evidence based practices. She taught me about running a business. She allowed me to be an innovator, and a creative thinker while always advocating for my patients and their families. The Alchemist by Paulo Coelho. It’s an inspiring quick read of a tale of a young boy who is on a quest. It is full of quotes and lessons about dreams, not giving up in the face of failure, taking advantage of opportunities and finding the extraordinary in simple things. What poem, song, or passage of prose would you like mourners to hear at your funeral? Ebay, Trader Joe’s and Grey’s Anatomy. How would you spend your favorite day? Exploring an overseas city and eating great food along the way. Always and anywhere with my kids, riding my bike downhill in the wind, in an old church, volunteering with Special Olympics. Biography: Farren Moore is a Clinical Nurse Educator at CHI St. Vincent Health System with 8 years of clinical practice experience. Her areas of expertise include medical/surgical, bariatric and orthopedic nursing. Farren Moore holds a Bachelors in Nursing from the University of Arkansas in Fayetteville and a Master’s in Nursing Education and Administration from Loyola University in New Orleans. She is currently attending Capella University to obtain a Doctorate in Nursing Practice. She is a member of Sigma Theta Tau International Honor Society of Nursing and the Little Rock Black Nurses Association. In addition, Farren is also a part-time adjunct faculty member for the University of Arkansas in Little Rock’s Nursing Department. She thrives to integrate current clinical practices with advanced academic theory and effectively share her expertise with nurses and students at various levels of comprehension and proficiency. As a Clinical Nurse Educator, Farren is challenged with the need to communicate clearly, teach creatively, facilitate learning effectively and evaluate objectively. Nurse educators are the role models, innovators, cheerleaders, critical thinkers, and mentors in today’s healthcare system. I wanted to be a high school Biology teacher. My grandmother, the late Rubye Rippond, was a teacher but told me not to follow that career because there was no money involved with that profession, but to do something in the medical field where the money is. I soon learned that I could be in the medical field and teach by becoming a nurse. My best career move was obtaining my Master’s degree in Nursing and then coming into Clinical Education. I have met so many people and had various opportunities that I don’t know if I would have gotten if I didn’t advance myself and jump into a department that I wasn’t completely comfortable with in the beginning. If I could thank only one person, I would thank Amy Funderburk. Amy was my preceptor when I was completing my Master’s Program. She helped me apply the knowledge that I had learned into the classroom into the actual work environment. She was a great example of what a director and leader should look like in a healthcare organization. She listened to her employees’ needs and held them accountable for their actions. Without her guidance through this preceptorship, I don’t know if I would have been in Clinical Education this early in my nursing career. I am truly grateful for her encouragement and guidance. Every healthcare provider, especially nurses, should read “The Nurses: A Year of Secrets, Drama, and Miracles with the Heroes of the Hospitals” by Alexandra Robbins. This author told the professional and personal story of four nurses in various communities and stages of their life. The author addressed real life issues that nurses face every day but still taking care of patients to provide the best care they can for them. I have already read it twice! My guiltiest pleasure is reading. I find myself reading a few pages of a book on my phone at work, right before bead or just whenever I can squeeze it in. I am my happiest whenever I am surrounded around my family and friends. Biography: Bernard D. Noveloso is a core faculty member of the Central Michigan University Family Medicine Residency Program. Prior to joining the faculty at CMU, he worked for the community health center systems in both Saginaw and Flint, Michigan. During his career, he has observed how doctors, including himself, can inadvertently shame patients through over-reliance on guideline-based therapeutic “standards”. An advocate for motivational interviewing, he strongly believes in medical professionals’ God-given gifts to heal through personalized encouragement and inspiration. He believes doctors should not resign themselves to be deliverers of bad news, but rejoice as bearers of the Good News! What was your best career move? Stepping down from the interim program director role at my residency program. It allowed me to refocus on patient care and teaching, and reminded me that climbing an administrative ladder is not the only path to career satisfaction. I would like to thank my mom, who died in a car accident a year ago. She taught me to pray for the living and the dead, for friends and enemies, with trust that God can reconcile. A silent retreat with God. I would like to spend a day of contemplating God’s presence at a Catholic retreat center. Why do patients request diagnostic tests? What emotions arise for clinicians when patients ask for tests? Why do clinicians find these requests more challenging than those for opioid pain medications? This webinar will provide participants with tools that enable them to have these difficult conversations in short periods of time, which will result in meeting the patient's agenda while also protecting patient safety. Biography: Cathy Leslie is an occupational therapist (OT) on the faculty at MGH Institute of Health Professions in Charlestown, MA. She has a clinical background in pediatric OT working with children birth to age 3 with developmental delays in early intervention (EI). She is interested in how health literacy and health communication can impact health outcomes for the children and families in EI. 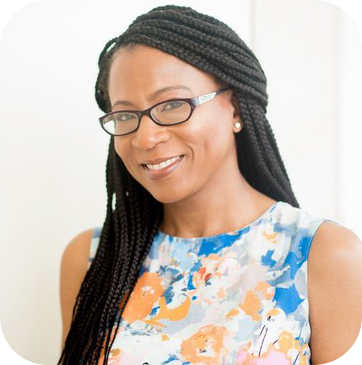 Additionally, she is passionate about applying the principles of health communication to improve health equity and access to EI services. She is thankful to work with the amazing faculty and OT students at MGH IHP! I was lucky to grow up in a big old farmhouse with a barn and rode horses. My earliest ambition was to raise horses and teach riding lessons. I made a career change in my early forties and decided to go back to school to get my occupational therapy degree. I learned so much working with families and their children in the home setting. I saw firsthand the impact of good health communication, whether it was verbal communication or written materials, on rehabilitation outcomes. I became so interested in health communication that I am currently pursuing a PhD in Rehabilitation Sciences and my research focus is health literacy in the EI setting. I would most like to thank Dr. Rima Rudd and Dr. Andy Tan at the Harvard School of Public Health for sharing their knowledge and passion about health literacy and health communication! I have learned so much from them and am eager to apply all that I am learning to the EI setting! I love to hide out in the Boston Public Library on a cold winter day with a good cup of coffee and read travel and cooking magazines. My husband and I live on a sailboat in Boston harbor and my happiest days are spent anchored out at the harbor islands and watching the sunset over the city. I am happiest having travel adventures in new places with my husband and two daughters. We love meeting new people and trying new foods. Biography: Cory Ingram, M.D., M.S., FAAHPM, is actively practicing clinician and member of the palliative care faculty blending caring, education, and research at Mayo Clinic. Dr. Ingram is the Division Chair of Community Palliative Medicine to develop specialty palliative medicine programs across Mayo Clinic Health System. 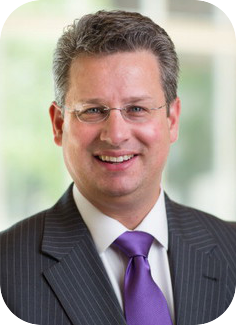 He also serves as director of the Palliative Medicine Program in Population Health to develop primary palliative care across the Mayo Clinic Enterprise. 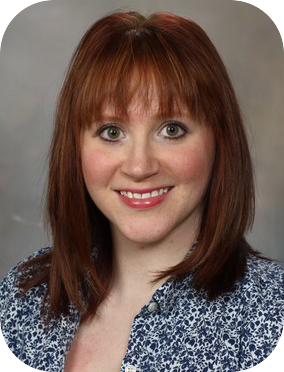 Dr. Ingram is an Associate Medical Director for the Mayo Clinic Hospice program. Dr. Ingram serves as faculty teaching in the Communication in Healthcare workshops in Rochester and Mayo Clinic Health System. He is also faculty in the Quality Academy at Mayo Clinic. Dr. Ingram serves as faculty in the Quality Academy and is the Chair of the Quality Committee for the Center of Palliative Medicine. 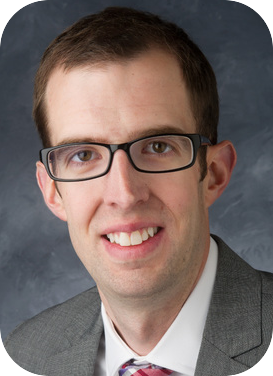 He is a principle investigator of the study, “Caring Through Conversations” and the study “Understanding Primary and Specialty Palliative Care.” Dr. Ingram holds dual appointments in Family Medicine and Palliative Medicine at Mayo Clinic, College of Medicine. Dr. Ingram completed Medical School at Leiden University in Holland, Residency at the University of Nebraska, Geriatric Fellowship at the Maine-Dartmouth Geriatrics Fellowship Program, and Palliative Medicine at Dartmouth Hitchcock Medical Center with Hospice Training at St. Christopher’s Hospice in London, England. Dr. Ingram is the past-Chair for the Humanities and Spirituality Special Interest Group for the American Academy of Hospice and Palliative Medicine. He is Chair of the Service of Remembrance and Celebration at AAHPM. 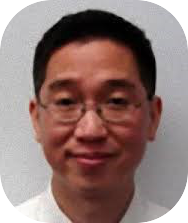 He is the section editor of the Art of Caring column for the AAHPM Quarterly and he is also a fellow of the American Academy of Hospice and Palliative Medicine. Dr. Ingram has published and presented locally, nationally and internationally on topics specific to geriatrics, dementia and palliative medicine. As far as I remember my first real ambition was to drive a truck. I would sit on my grandmother's lap as she drove an old Plymouth Fury III down the rural Iowa highways, just dreaming of driving. I still love road trips, however; my focus quickly became medicine in my youth. My best career move was pursuing my fellowships. The best years of training were spent first with Dr. Karen Gershman and her geriatrics team and second, in my palliative medicine fellowship with Dr. Ira Byock and his team. Both of these fellowship allowed for dedicated time to focus on the lived experience and caring for seriously ill and elderly patients. Those were the best years of training. I would take time to think many people; however, my wife has been most supportive during my career. Lilian encouraged and supported our move to the United States from Holland; leaving her home country. She continues to provide ongoing support as I have gone through residency, 2 fellowships, and various leadership positions all with associated moves for the family. After 25 years we have lived in two countries, 6 states, and have 4 children born in 3 different states. Every healthcare provider should read “The Best Care Possible” by Dr. Ira Byock to inform their perspective on what it means to give and get the best care possible. What poem, song or passage of prose would you like mourners to hear at your funeral? 1960's country music that I grew up hearing on the farm, in the truck, and at home. Three words to describe my personality are; “up for it!" I would spend my favorite day eating food cooked outdoors around an open fire after a day with family on the water. The place I am happiest is on the water with family. Biography: Peggy Lucien, MSW, LCSW is a Clinical Social Worker at Boston Medical Center (BMC) - Boston, MA. BMC is a Level 1 Trauma Center where Peggy provides trauma-informed care to a diverse population of patients who are systematically marginalized, underserved and have many barriers that often prevent them from being able to access medical and mental health services. Peggy understands the many systems that directly impact the lives of those she serves and at every intervention, she strives to empower each patient to reach their potential despite their social barriers, medical or mental health challenges. Peggy is a member of Boston Medical Center’s Patient Family Advisory Council (PFAC) is made up of current and former BMC patients, their family members, and hospital volunteers, as well as, BMC staff members. The goal of the PFAC is to listen to the experiences of our patients, and their loved ones to improve hospital operations and to further the hospital’s mission of “Exceptional Care Without Exception.” PFAC provides its members with a platform to engage in important conversations with other BMC stakeholders with the common goal of improving patient care, safety and satisfaction. Peggy is of Haitian descent and grew up in the city of Boston. She obtained her MSW at Simmons School of Social Work in 2014 and is currently working toward becoming a Licensed Independent Social Worker (LICSW). Peggy is also looking forward to starting the Post- Graduate Certificate Program in the Treatment of Trauma at Boston University School of Social Work in the fall of 2018. My earliest ambition was to join the Air Force. After seeing the movie Top Gun I fell in love with Tom Cruise and wanted to become a pilot. I received an undergraduate degree in Anthropology. I aspired to be a Cultural Anthropologist. I naively believed that someone would pay me to travel around the world. To do what? I didn’t even know. My mother warned me that it was not a well thought out plan and encouraged me to get a more “practical” degree….like nursing. I should have taken her advice…lol. If I knew then, what I know now; I would have obtained an undergraduate degree in Social Work. Although I did not become a nurse, like my mother (like she wanted me to); I’m very happy working as a Medical Social Worker in a very busy urban hospital because it is rewarding to help people in need. After graduating from college my very first job in human services was not very rewarding. I did not love the work and I did not feel that the work was challenging enough. I left that position after only working there eight months for an administrative assistant position at another human service agency until something better came along. Well, six months later I was promoted to Case Manager and many other promotions followed. I worked at that agency eight wonderful years and when I left to pursue my MSW, I was a Program Director. The job I took as a placeholder “until something better came along” was my best career move because it sparked my interest in Social Work and motivated me to pursue my advanced degree. I would recommend an article, Unpacking the Invisible Knapsack by Peggy McIntosh. The article explores the power of white privilege and themes related to making connections, building relationships, diversity, racial/cultural identity and justice and political activism. I believe it’s important that as providers we are ALL aware of our privilege or lack thereof and how we can begin conversations about how we can dismantle systems that empower some while marginalizing others. I have so many. But my guiltiest pleasure is getting regular massages. My happy place is at home cooking, hosting and or celebrating my family and friends. I believe there is no occasion too small or insignificant that’s not worthy of celebration. There is nothing better than making others feel cared for, loved and worthy of admiration. has co-developed with partners at the Mayo Clinic Dan Abraham Healthy Living Center and two VA Medical Centers. Following my gut and my wildest dreams. My mom for modeling what it looks like to be a successful career woman and mother all at the same time. My couch in my living room. 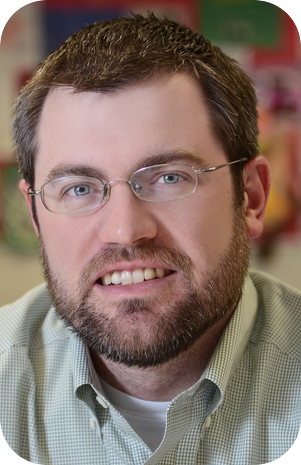 Biography: Matthew Witry is on the faculty of the University of Iowa College of Pharmacy in the department of Pharmacy Practice and Science. Dr. Witry teaches student pharmacists about patient centered communication, medication adherence, and other social-behavioral topics at various points in the curriculum. Witry also works with the PhD students and Pharmacy Residents on qualitative methods and practice-based research projects. One of Witry’s guiding interests transferring communication best-practices from nursing, medicine, social work to pharmacy practice settings where the field of patient-centered care is still gaining traction. Witry’s research focuses on adherence to medicines and exploring ways pharmacists can obtain and use information on patient experiences, beliefs, and preferences in their practice. I started college in the engineering program, but soon decided to make the shift from a technical field to the health care field-specifically, pharmacy. While both professionals help people, I saw a great potential for pharmacists in the coming decades and wanted to be a part of shaping their role in the healthcare system. While it is somewhat unconventional to stay on with a University for a faculty appointment after graduating from the same program, doing so has been a good fit. The college had a need for a faculty member to pursue teaching and scholarship in patient-centered communication and that was my passion. I am currently reading “The Compassionate Connection: The Healing Power of Empathy and Mindful Listening” by Rankel and am finding it very compelling. On the topic of medication adherence, I found Shea’s “Improving Medication Adherence” from 2006 to be an insightful perspective based on first hand experiences. I like to leave the office a little early, especially in the summer, to read articles and review manuscripts at the coffee shop. Exploring a new city, enjoying local food, drink, sights, and experiences. Anywhere where my family and friends are laughing and enjoying themselves. Biography: Katlin is entering her third-year as a student physical therapist at Duke University with interests in Pilates-based physical therapy, pelvic health, performing arts rehabilitation, and the treatment of persistent pain. 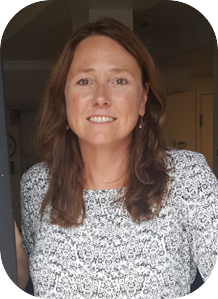 Upon graduating from her undergraduate institution, Dickinson College, Katlin entered into the Peace Corps as a TESL volunteer in the Republic of Palau where she spent nearly three years on the island of Peleliu. 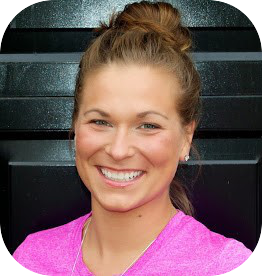 Prior to graduate school, Katlin worked as a Certified Strength and Conditioning Coach (NSCA-CSCS) working with athletes across the lifespan, as well as an English language educator. It was during her time as an educator/coach that she realized her passion was in empowering individuals in their bodies, which prompted her to pursue a Doctor of Physical Therapy degree. Katlin’s current research interests are focused on the impact social factors have on an individual’s pain experience. Her goal in all interactions is to create a space that fosters authentic communication and connection. When my Peace Corps service was coming to a close, I decided to apply for an extension of service to see my students through their eighth-grade graduation. The decision to remain in the community for another school year allowed me, for the first time, to feel content with an experience ending. The Immortal Life of Henrietta Lacks by Rebecca Skloot is a must-read for anyone working in or utilizing healthcare. It not only adds humanity back to science, but it also sheds light on issues of health inequities that contribute to how/why/when/where our patients access their care and the work that still needs to be done. Near saltwater and sunshine preferably with temperatures between 60-95F. 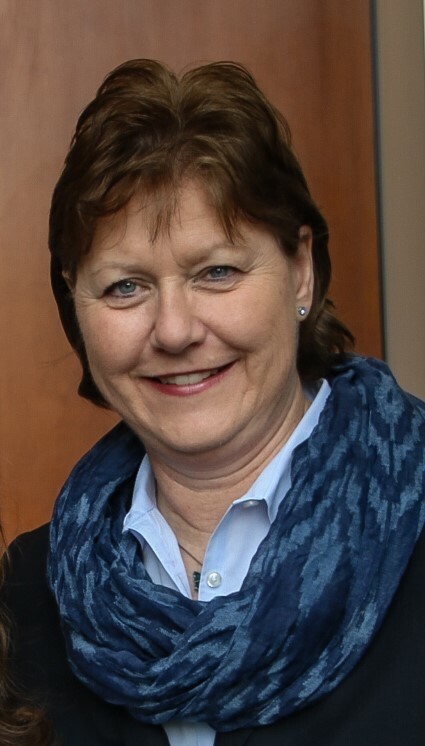 Biography: Dr. Marla Rowe Gorosh has been a Senior Staff member of the Henry Ford Medical Group for over 30 years where she has been elected to the Board of Governors, a Family Medicine Program Director and active in organizational development. In addition to being a clinically active family practitioner, she is an educator of medical students, residents and senior faculty and healthcare system leaders across all specialties/disciplines focused on relationship-centered care communication with patients, their families and on teams. In addition, she has extended that teaching to include challenging situations such as shared decision making, end-of-life care, disclosing errors, delivering bad news, and negotiating and embracing difference using culturally sensitive relationship-centered skills. She successfully created and directed a series of programs for practicing physicians to engage in relationship-centered communication with their patients in 1994 with AAPP-now ACH- and continues this training today. She has facilitated teams to develop relationships that support the discovery of their strengths, build resilience and navigate their differences in the process of their daily work and to embrace and create cultural organizational change. She has worked to develop and facilitate the Health Equity Scholars Program (2009-present) to integrate and foster equity in health and healthcare across the organization. She is currently a committed faculty member of ACH having been a FIT Guide to current active ACH faculty, developed workshops for ENRICH and Winter Course both of which she has co-directed with great pleasure. Thinking I was an imposter for way too long which made me sleep deprived for too many years. On the other hand, it helped to keep me humble and ever vigilant for errors. I started my undergrad years hoping to foment social change in Urban Studies and shifted into medicine as a patient advocate so I could make a change from the inside as a doctor. I couldn’t believe there were people who chose to come to a dingy free clinic because they were afraid of how they’d be treated in a traditional clinic or ER. I attended my first AAPP –now ACH conference on spirituality at the Fetzer Institute where I was introduced to the great works of Rachel Naiomi Remen, Parker Palmer and the charter members of AAPP. My 5th-grade science teacher, Mr. Dowd, who gave extra credit for bringing anything that could be considered science to “show and tell”-like my seashell, rock and ant collections. And professionally, David Leach for supporting and inspiring me to teach and engage in organizational change. Sleeping in and staying up late. Hanging out with my family in nature, cooking and eating together in a well-equipped kitchen, listening to music, poetry, seeing a fabulous movie, hearing a great speech, visiting great art or exploring architecture. See number 9 above. Witnessing learning or deep enjoyment that I may have had a role in facilitating. My worst mistake and my best career move were identical. We moved to West Virginia to start a solo pediatric practice. It was a wonderful place to both raise a family and have a practice. The downside was I was too busy and eventually burned out and went into psychiatry/ child psychiatry. Fred Platt, MD. Fred mentored my growth as a writer and teacher of communication skills. I was inspired by his generosity, integrity, and of course, his knowledge and experience. I was very lucky to have that experience. Spending the day with my wife, maybe exercising, going to lunch and a movie. One of my favorite activities is participating in a lively group. I like the stimulation and, especially, the connection with other folks. Biography: Wilson File is a Pediatric Oncologist at the Children’s Hospital of The King’s Daughters in Norfolk, VA. His passions are communication skills training and graduate medical education. Wilson became interested in communication skills training during his pediatric hematology-oncology fellowship. During fellowship he designed a curriculum for communication training for fellows along the continuum in pediatric oncology care and became the first pediatric sub-specialty fellow to complete a project in education. During this time, Wilson became a member of the ACH and met one of his mentors for the project through the ACH mentorship program. He completed his Master’s in Medical Education and Leadership through the University of New England during fellowship. He published his needs assessment survey on communication training in the journal, Pediatric Blood and Cancer. One of the most notable findings was the decrease in communication training along the medical education continuum from medical school through fellowship. Wilson feels that this should be reversed, that communication training should be more prevalent as medical education becomes more specialized to help improve complex high order communication between providers and families. Wilson is now an Assistant Professor of Pediatrics at Eastern Virginia Medical School where he continues his focus on medical student, graduate medical education and interdisciplinary communication. He has been featured in several panel discussions for medical students on communicating with families and dealing with the loss of a patient. Wilson leads a communication curriculum for hematology-oncology nursing and support staff and is the director of education for a local pediatric hospice organization. He is hopeful to launch a new curriculum training general pediatricians to help navigate families with the loss of a child. My earliest ambition was to be a mechanical engineer.However, it was not until college and a chance meeting with a future mentor who was a pediatrician that I decided on a career in medicine. My best career move was to have the fortitude to complete a project in education during my pediatric hematology-oncology fellowship. Most fellows complete projects in basic science or clinical research. This endeavor met with some reluctance, as there was no established path for completion of an education project. It would have to be the person and family that I never had the opportunity to thank, my first patient that I lost during my fellowship training. I felt so unprepared to manage that situation. That experience changed my entire career trajectory; he became the inspiration for my communication curriculum. I hope that I continue to honor him and his family through my care of families. I feel that I learn and grow from every family encounter. As a provider, it is important to be open to that learning and to challenge oneself to be introspective on things that might not have gone well in certain encounters. My favorite day is out on my boat with my family with a fishing rod in hand. It is the one place where I can find serenity. I go there to reset from the busy and stressful world that I operate in. Where do you find the most fulfillment? When the door closes in my exam rooms, I get the privilege of helping families navigate one of the most scary and difficult times in their lives. It is a truly amazing to provide care to families and patients that face such adversity which such grace and bravery. 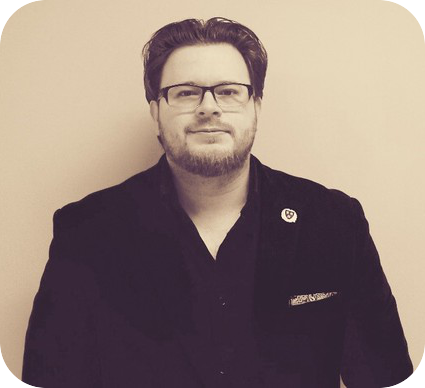 Biography: Alexander is currently completing a PhD in Inter-disciplinary studies (Community Health Sciences & Bioethics) focusing on the role that authenticity should play in medical choices made by patients. He previously completed an undergraduate degree in exercise physiology and a Master’s degree in medical rehabilitation. He holds research positions at both the University of Manitoba and the University of Winnipeg. 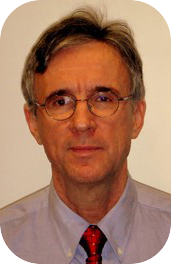 Alexander’s research interests include medical ethics, health literacy, and professional ethics. He has received several national and international research awards, and his research has been profiled by CBC news, ABC news, and the LA Times. To be happy and fulfilled as a person. I think that every other potential ambition should be evaluated based on whether it facilitates that overarching goal. All the people who have advised and mentored me throughout my life. They helped to shape my identity and the values I hold. Dr. Seuss’ Green Eggs and Ham- seriously! Bioethicist Lachlan Farrow wrote a great article explaining the lessons that healthcare providers can get from this book (see “The green eggs and ham phenomena, The Hastings Center report, 1994, Vol.24(6), pp.S29-32). The most important lesson… Sam-I-Am offers the protagonist green eggs and ham a thousand different ways, but is turned down for one important reason- “I do not like that Sam-I-Am”! This emphasizes that a bad relationship between a clinician and a patient can completely derail an informed consent conversation before it even begins. I actually have a hammock hanging in my house that I relax in after a hard day. I can say with unwavering confidence that house hammocks are underrated. However, it may be wise to put the hammock away before your boss or in-laws come over for dinner. Drop me in an interesting place with good company and we will fill in the details based on where the day takes us. If it is a quiet day at home, then a mix of record playing, meditating, and reading is always a good choice. Biography: Dr. Michelle Harcha is a veterinarian with over 30 years experience in the veterinary profession. Her unique combination of professional experiences includes 10 years in clinical practice, 12 years in a variety of roles at Hill’s Pet Nutrition, and 10 years in academia leading the Professional Development curriculum for veterinary students at The Ohio State University College of Veterinary Medicine. Her passion for communication training began when she worked in a veterinary emergency clinic. It was in this environment that she became certified in Everything DiSC® and saw how this assessment and communication skills made a huge impact working with and managing veterinary healthcare teams and improving the client experience. After completing several veterinary specific communication courses, the Institute for Healthcare Communication faculty training and the FRANK™ training, she led the development of a comprehensive applied communication curriculum at Ohio State. Dr. Harcha learned of the Academy of Communication in Healthcare and DocCom from her colleagues in the College of Medicine while teaching inter-professional education. Inter-professional students share many qualities and the importance of communication is evident in all healthcare professions. In 2017, she formed LeadYourShip LLC to bring her experience in communication, leadership skills, and emotional intelligence to the veterinary profession. Combining my love for animals and my passion for science, I decided to pursue a career in veterinary medicine at the age of thirteen. My grandfather was a veterinarian and when I was a small child, he told my mom that one day I would choose this career. No mistakes. Everything I have done in my career has led me to this moment. I would not change a thing. I am grateful for the unique blend and balance of professional experiences including clinical private practice, industry, and academia. All of this has contributed to my passion and skill in teaching communication, leadership, emotional intelligence, and resiliency. I have had multiple careers, each a stepping stone to the next. I would not say one is better than the other. Each career began as my dream job. As I have grown and developed, so have my career goals. Moving from one job to the next, gives someone else the opportunity to live their dream as well. It is now exciting to begin my own consulting company with a focus on teaching communication, leadership, and emotional intelligence in veterinary hospitals and practices. Both of my parents. They always supported my decision to go to veterinary school. My mom and dad gave me a strong sense of serving others, making a difference in the world, and being a good communicator. They helped me believe I could do anything I set my mind to do. Any book that makes them a better communicator and a kinder person. For me, that is anything written by Wayne Dyer, Byron Katie, Daniel Goleman, or Brene Brown. I am a lifelong learner. I spend a lot of time, money, and energy on books, online courses, and continuing education. I have received insights from books and classes that have changed my life. Sharing what I learn with others is my passion. Going to an Ohio State football game on a fall afternoon in Ohio Stadium. This would be preceded by attending the Ohio State Marching Band practice before the game at their “skull session” and then attending their post-game show after the Buckeye victory. I have been attending Ohio State football games with my family since I was a child and each game feels like a family reunion. When I am learning and teaching others or spending time with my yellow Labrador Retriever, Colby. After this webinar participants will be able to: 1. Describe the general spirit and technique of Motivational Interviewing; 2. Explain four specific MI techniques; and 3. List two common challenges to implementing MI d)Apply an abbreviated approach for a time-constrained encounters. Through this webinar you will learn how ACH has helped institutions across the country establish internal expertise through delivering train-the-trainer programs. Growing programs with local champions as skills trainers equips institutions with renewable means to support internal development and longevity for culture change. The phases of the program include preparing for implementation of the program, having program participants undergo a fundamental communication skills workshop and then understanding the theoretical and practical rationales underlying the workshop, setting up practice sessions for participants to achieve mastery, and ensuring long-term viability of a communication skills improvement initiative. Train-the-trainer programs are a viable way to create enduring communities of local experts who can implement and support institutions' commitments to excellence in the communication skills of their providers. What is ‘Shared Presence’ and Why Should I Care? A great deal of interest and practical wisdom has come from research and education on communication in encounters with patients. This webinar will focus on one specific aspect of relationships, the concept of "shared presence". The overall goal is to describe the role of shared presence in four domains of practice: 1) interpersonal skills; 2) relational contexts; 3) actions in encounters and 4) co-production of healing outcomes. Each of the domains will be unpacked along with evidence about the impact shared presence has on processes and outcomes of care with special attention paid to time and resilience. Drawing on stereotype threat and social identity threat research, this talk will address the why, what and how of diverse learning communities: why they are important, a working hypothesis about what is critical to their success and what research reveals about how to achieve that success. The talk's practical aim is to identify features of diverse learning communities-schools, universities and academic disciplines-that while good for all students, are especially helpful for minority students generally, and for women in STEM fields. The talk will also explore the psychological significance of community and its role in learning. Am I dying? How long do I have? These are just two frequent questions posed by patients (or by family members) as they live with a terminal illness. This webinar will describe a method for using ART (Ask-Respond-Tell) to respond to these and other difficult questions. Objectives: Highlight challenging questions that providers are asked by patients at end of life and describe ART (Ask-Respond-Tell), a communication skill used in other situations and its application as a method of responding to difficult questions. In this webinar, Glyn Elwyn, professor at the Dartmouth Institute for Healthcare Policy and Clinical Practice, will provide practical tools to help share decisions in clinical visits. Dr. Elwyn will offer suggestions on how to teach others, including evaluation strategies to explore whether patients have experienced shared decision making. The presentation will focus on the "three talk" model - using team, option and decision talk steps, while providing examples to assist clinicians as they utilize the method with patients. The presentation will also introduce shared decision making tools, such as the Option GridsTM decision aids, to illustrate the integration of evidence-based information into conversations with families. This webinar examines how autoethnography can be a valuable and reflective methodology for clinicians. As a methodology, autoethnography invites researchers to engage in meaningful reflective practice of self and other (culture) through narrative writing ('graphy'). Autoethnography situates the personal story ('auto') at the heart of research, enabling clinicians to explore their personal and professional roles within the culture of medicine ('ethno'), leading to improved communication in the areas of relationship-centered care, patient empathy and self care. More than poetry or short essay, autoethnography follows a systematic research design that can be published and fulfill the "scholarly activity" requirement for residency or medical school. In the past 10 years, health services and clinical research has increasingly recognized the importance of incorporating social science to promote patient-centered care and to improve population health. For example, traditional health services research may use administrative or clinical data to identify opportunities for improving care, social scientists may directly observe clinical processes to map out what actually happens before making recommendations for improvement. However, health services, clinical, and social science research often have distinct objectives, methods, and assumptions. This webinar is a conversation with a physician and a social scientist who have successfully navigated trans-disciplinary grant-funded research. The overall goal of the conversation is to identify the pitfalls and opportunities for collaboration to plan for and implement working relationships among health services researchers, clinicians, social scientists. Family communication patterns, comprised of family talk and family obligation, are used to describe differences and variation in caregiver communication. In this presentation, four different types of caregivers are described, each with their own unique style of communication, communication preferences, and information needs. Tools for identifying the different types of caregivers are reviewed. Objectives: Define family talk and family obligation and understand high and low pattern, identify differences among caregiver types (manager, carrier, lone, partner), and demonstrate awareness of caregiver communication patterns. As the full force and impact of healthcare reform takes root, organizations are under great pressure to improve overall performance in quality, safety, and patient experience. At the same time, a new level of transparency and access to information will continue to expand healthcare consumers' abilities to make more informed choices and influence the care they receive. Designing and implementing a comprehensive patient- and family-centered experience has significant and immediate benefits to organizational culture, as well as longer-term benefits to patient satisfaction ratings, and employee recruitment, retention, and engagement. During this program we review practical and innovative approaches implemented by advanced patient- and family-centered organizations that have significantly enhanced the healthcare experience of patients, families and staff. 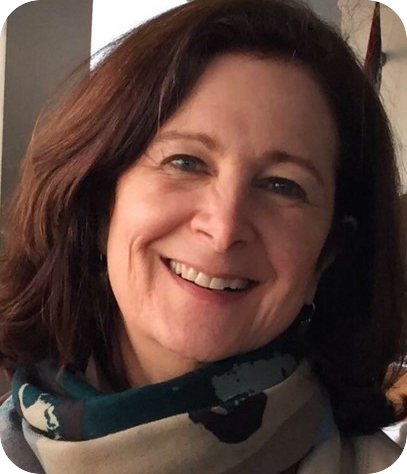 Martha Hayward will share the IHI Framework for Public and Patient Engagement and talk about some of the initiatives currently underway, including Always Events, The Conversation Project and Conversation Ready. We expect empathy from ourselves and our students. What gets in the way between the ideal and real? Recent findings in social psychology and neurobiology help frame the problem and point to the solution. Healthcare communication teaching, assessment and research is reaching maturity after over three decades of intense work. In recent times, medical educators have begun to understand the importance of focusing on professionalism. The lessons from the work of ACH members and others have broad applicability in the emerging field of professionalism education, assessment, remediation and research. Dr. Novack will highlight the major advances in field of healthcare communication and discuss their applicability to promoting the professional growth of medical students and residents.